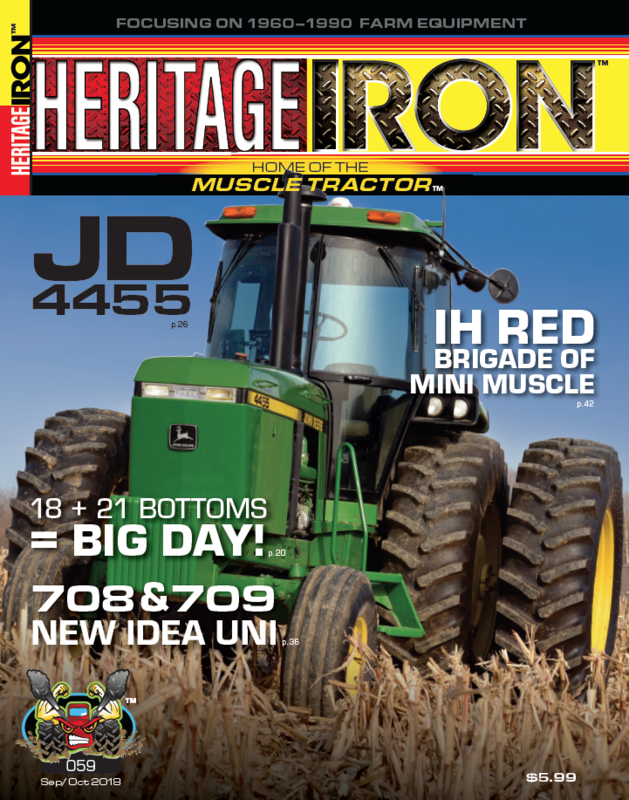 Heritage Iron Magazine was founded in 2008 in order to fill a need for those interested in muscle tractors. It features all brands, all makes, and all models of muscle tractors from the 1960 - 1990 era including the equipment used by the tractors. Each issue highlights a featured tractor and presents a detailed account of the tractor, its attributes, its history, and its owner. Other regular features in the magazine are machinery milestones, letters to the editor, equipment and company history, classified ads, auction results, an editor’s page, farm toys, literature, and memorabilia.